The interaction of shock waves with boundary layers is important in engine intakes for supersonic vehicles where a strong interaction can lead to a process known as unstart. 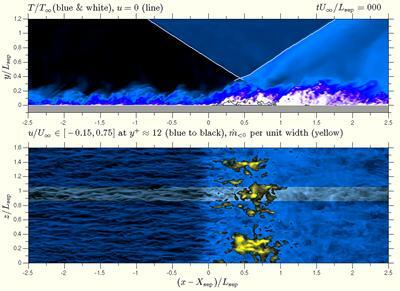 In this work we carry out large eddy simulations of an oblique shock wave impinging on a turbulent boundary layer developing under a free stream at Mach 2.3. 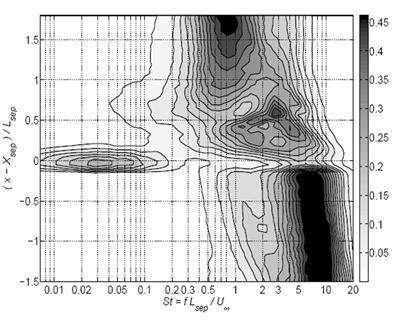 Under these conditions a closed turbulent separation bubble forms. The configuration replicated experiments at IUSTI in Marseille, where velocity measurements were made using Particle Image Velocimetry. 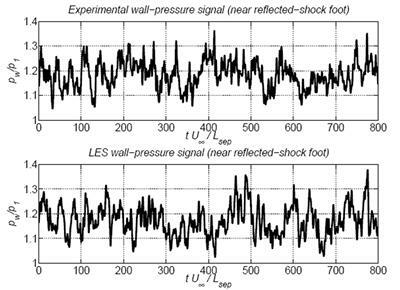 Both experiments and simulations show a high-amplitude low-frequency peak in the power spectrum of static pressure measured on the wall beneath the foot of the reflected shock wave. 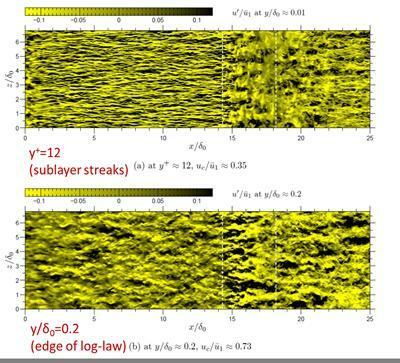 The frequency is over two orders of magnitude lower than the typical frequencies in the turbulent boundary layer and occurs in the simulations even when the upstream boundary layer doesn't contain coherent structures of a matching scale. Instead the research suggests a mechanism based on the global response of the separating flow to broadband forcing.